Numbers reference for you. 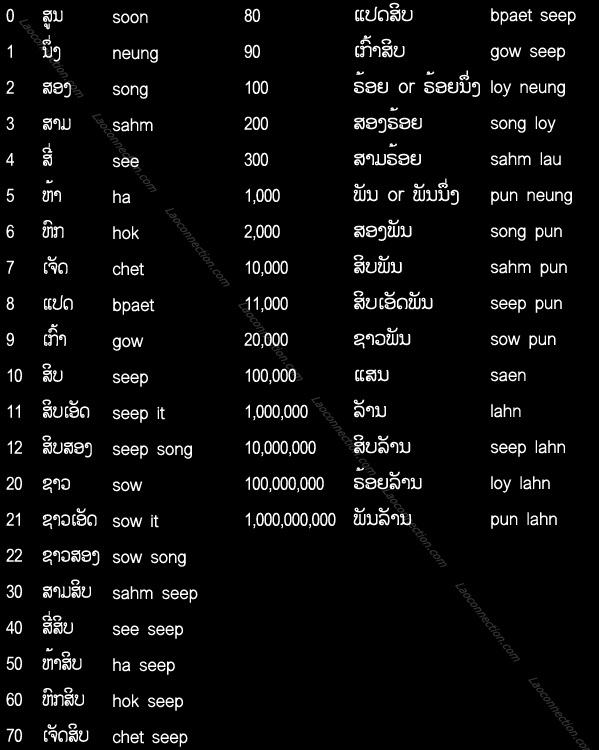 Written in Lao, English and phonetic English sounds. To make the phonetic English sounds easier to read I've separated the syllable or compound words for you. However be sure to read it with an unbroken flow (no breaks).